Thank you for visiting and your willingness to find out more about Providence Recovery Place. Here at Providence Recovery Place, we believe that long-term addiction care should be available to everyone and we all deserve a second chance to have a life loaded with joy and accomplishment. That’s why our mission is to offer one of among the most affordable recovery experiences in the United States to both Men and Women seeking to heal from chemical addiction, behavior addiction, and sin addiction. The cost is affordable due to the non-profit status and because of donations from the community. All programs are also heavily subsidized by sales from Providence Ministries, Inc, and our various Thrift Store locations. Includes your meals, tuition, housing, and program travel excluding airport pick-ups. Arrangements completed by phone and online. 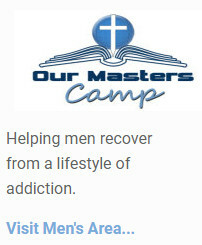 Separate Men’s / Women’s Addiction Rehab Locations. You can find programs from around the country for the treatment of drug, alcohol or other addictions. Here are just a few of the reasons to look outside your home state of Oregon and consider a treatment program by Providence Recovery Place. Leaving home for addiction treatment gives you permission to abandon your daily distractions and worries. You can work on what really matters: your healing and your future new life. A new setting can give you a new perspective on life. Put distance between you and the negative influences in your life. You can most certainly find programs with unique treatment options not offered in your area. Traveling for Rehab can put you in the mindset of taking a journey toward recovery and a new beginning. Leaving your home for treatment protects your confidentiality by giving you an additional layer of privacy. No one needs to know you’re here. You’ll have peace of mind. Sometimes, the best fit for you isn’t located close by. 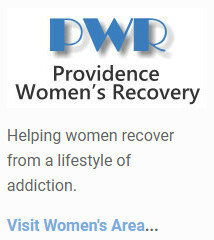 Find out how Providence Recovery Place Men or Women’s locations can help. For anyone looking for a rehab method of support with a spiritual foundation, Providence Recovery Place can help. For people coming from a Christian background, our recovery programs will particularly greet your core values and beliefs. You will find yourself surrounded by a community of like-minded people who can understand your struggles and help you find faith in yourself again. Even if you’ve gotten off track and lost a lot of your Christian roots, Providence Recovery Place can help you find and return to your faith. Drug and alcohol addiction treatment programs are designed to help you escape a compulsive cycle of alcohol or drug abuse that represents a loss of self-control. Treatment programs teach you how to function in everyday life without using your substance of choice. A large component of substance use treatment prioritizes being completely honest with yourself, accepting reality, and exploring the feelings, thoughts, and beliefs that drove your substance use. A good treatment program helps you take a look at your situation realistically, adapt more functional and realistic beliefs, learn stress management and coping techniques, and help you develop positive relationships. Treatment is often needed to address drug or alcoholism because, quite simply, it’s very difficult to successfully quit on your own. You will need guidance to understand the reasons for your behavior, to learn alternatives that can help you change your behavior, and to become guided into a new and healthy lifestyle. Another reason alcohol and drug treatment is very important is that it educates you on how you can functionally deal with your everyday issues without relying on drugs or alcohol– something incredibly difficult to learn to do on your own. Oregon is a coastal U.S. state in the Pacific Northwest known for its diverse landscape of forests, mountains, farms and beaches. The city of Portland is famed for its quirky, avant-garde culture and is home to iconic coffee shops, boutiques, farm-to-table restaurants and microbreweries. Highlights include the Native American art in the Portland Art Museum, the Japanese Garden and the Lan Su Chinese Garden. It is most important that you find out how the program will fit your individual needs. Not every program is right for every addict, and just because you are trying to find affordable care does not completely limit your options. Make time to find a center that has a treatment model you will be comfy with, which offers services that you think will give you the very best chance of a successful recovery. If you plan on attending a short-term rehab as a result of cost restrictions in Oregon, ensure that they offer a comprehensive discharge plan, and some sort of aftercare. With Providence Recovery Place you will find a quality treatment longer-term “90 day” solution and soon be down the road to recovery from drug addiction.